We are a friendly cycling club based in Banbury, North Oxfordshire that organises events for road cyclists of all abilities and disciplines. Five club rides are held each weekend, ranging from 25-55 miles in length. Our evening summer timetrials are for anyone to come and try and for the more daring, our early season open timetrial in the name of the Hardriders, descends and then climbs the infamous Sunrising Hill. In the height of the summer we also organise an open road race consisting of a men's and women's race. During the lighter evenings we also run chaingang sessions and short rides. We have a scheme called Rising Stars that encourages children to take to their bikes with our British Cycling qualified coaches. We run three club rides every week, catering for cyclists of all abilities, enjoying the beautiful Cotswold scenery and some challenging climbs for good measure! Coffee and cake stops feature prominently too. 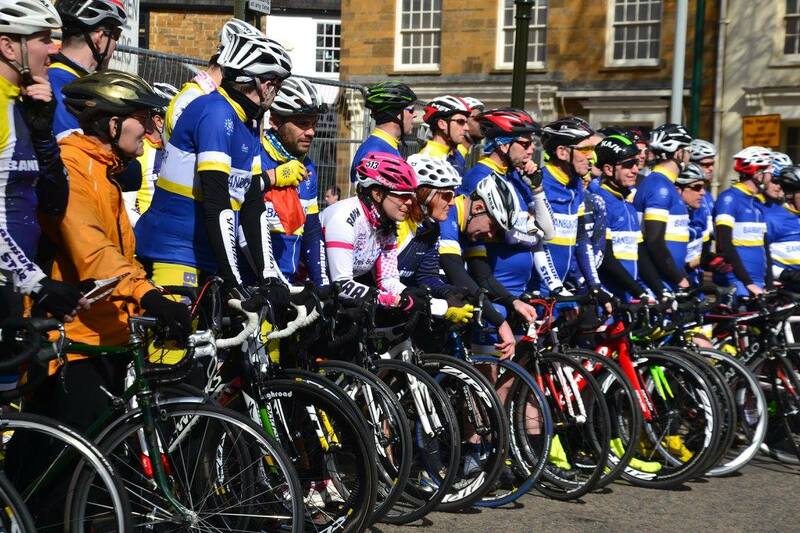 Banbury Star organises a series of time trials from April until September over a range of routes and distances, from a 700 meter hill climb through to a 30 mile lung-buster. We hold an annual road race for both men and women on our Edge Hill circuit and have a race team who regularly compete and are keen to help others who aspire to this discipline. Established in 1891 BSCC is one of the oldest cycling clubs in the country. We are a friendly, active and inclusive club catering for all aspects of road cycling. We run weekend club rides throughout the year, including easy cafe rides on a Saturday morning, and also an intermediate and a faster club ride on a Sunday morning. We jointly host a summer sportive, run spring and autumn reliability rides, hold a series of club time trials throughout the summer months, as well as hosting open time trials and road races. Please feel free to browse the site pages, join in with some friendly cycling related discussion on our forum, and to those new to the club, I hope to see you out on one of our club rides very soon.